Halifax, I’m Coming To See You! On May 8th, I’ll be doing a zine reading at Plan B (2180 Gottingen) at 7pm, alongside Giz Medium of Cheaptoys. It’s an open mic fundraiser for The Worst Of Times, a rad anti-capitalist broadsheet that I’m actually going to be interviewed for in about an hour. Anyone is welcome to join in and do a reading or performance of sorts. Facebook event here. Hoping to see some friendly faces! That said, if you wanna get zines from Fight Boredom Distro, now is the time. Basically, you can send me a list of the zines you’d like, I’ll pack ’em up and bring ’em to Halifax with me, and then you can pay for ’em at the reading (or we can meet up elsewhere if you’re not able to make it). This means that you’re not paying for postage! And maybe we can sit down and have a coffee together! Click on How To Order if you need more info. I’ve visited Halifax a few times and I participated in the Anchor Archive zine residency in 2012, so I’m pretty familiar with the city, but feel free to leave a comment telling me about your favourite spots to hang. I’m partial to karaoke bars, uncommon sodas, and dumpsters. See ya next week! 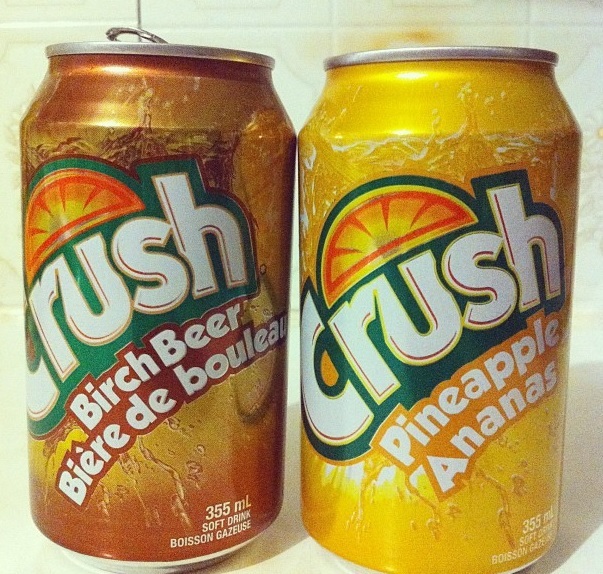 East Coast Crush – Halifax soda finds in 2012.